3. State or local law enforcement), section 1512 (relating to tampering with a witness, victim, or an informant),section 1513 (relating to retaliating against a witness, victim, or an informant)." 1. 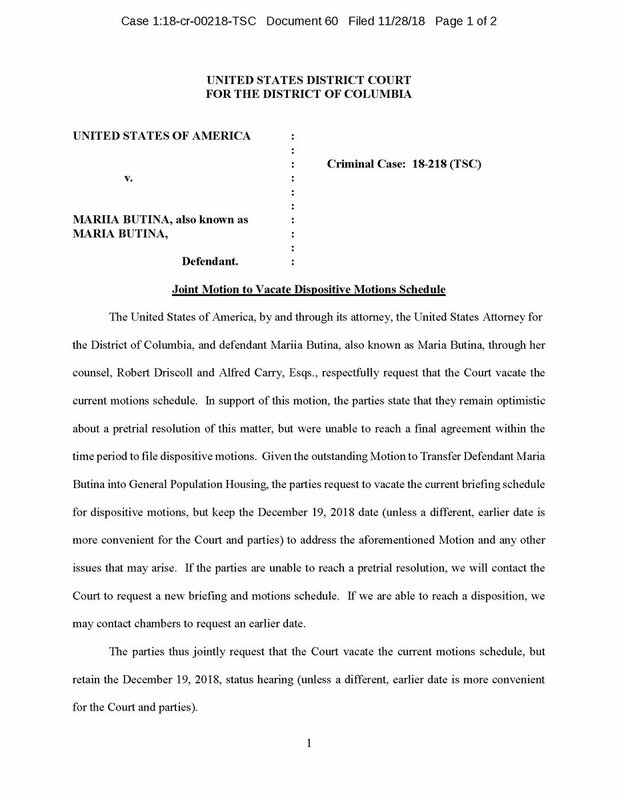 Was looking at DC dockets & saw Maria Butina's pre-sentencing report was recently filed. No date set and joint motion for her judicial removal was filed but pending with no hearing date. All-in-all Maria looks like she's heading home to a heroes welcome. But I'm not convinced. 2. Who else is remaining? It's all the real Russia stuff. Butina with her links to the Kochs via the NRA, Patten, Flynn, Edwards and Wikileaks. All still pending and all related to Russia. 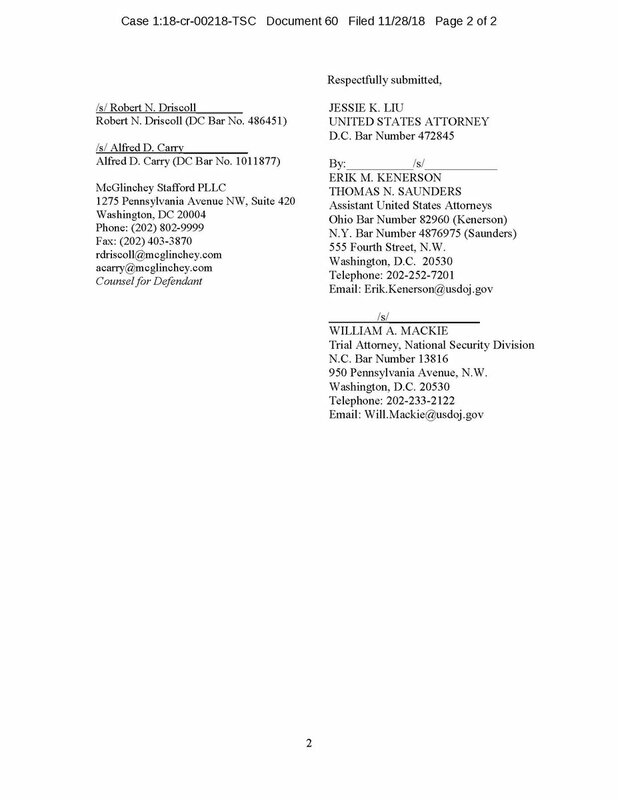 And the Govt Attorneys on Butina's case are still National Security section. The real deal. 3. I think Butina is a GRU agent. She was in Donbass during the Russian attack. The Russians think they won. That may be what we want them to think. One thing about the Mueller Report, I was not surprised about is that the GRU didn't get close to Trump. They didn't have to. 1. More on Barr. He's playing a game by saying that White House outside counsel has not seen the report. IMO Barr gave it to @WhiteHouse counsel that also includes his son. He's also playing a game with 6(e) pretending that his made up redaction category (3rd parties) is law. 2. Uncharged people who were raised in the grand jury are generally protected by 6(e). Barr appears to me to be adding the people who may not have been in the 6(e) scope. IMO likely his law firm K&E & McGahn's firm Jones Day along with @SenateGOP @HouseGOP & #KochBrothers et al. 3. Nothing I saw or heard today changes my view @RepAdamSchiff has the full report. If he doesn't and he has asked for it, then @TheJusticeDept & Barr are engaged in obstruction under 18 USC 1505 for not providing it to national security investigators as provided in 6(e)(3)(D). 1. 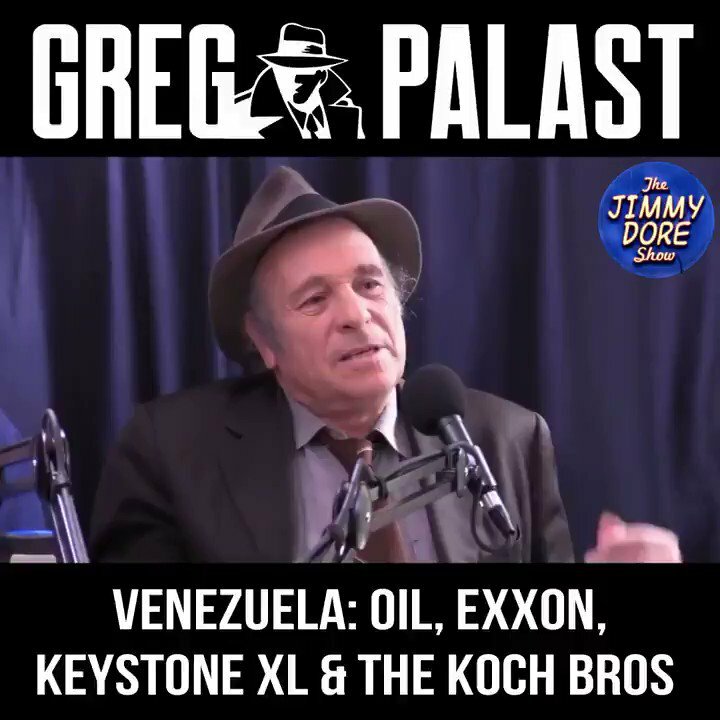 Latin America is a perpetual American policy failure. 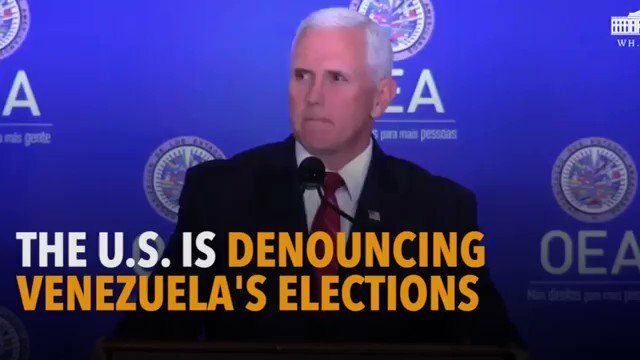 US can't even deal with it's own Latin American constituents. It's not surprising we aren't a more positive force in the Western Hemisphere. US tendency to reduce policy to binary choices rarely advances our interests. 3. has been met with the customary John Birch #KochBrothers' red scare but this time is different. Trump has energized liberals. He also destroyed the traditional GOP conservative base replacing it with a white-supremacist rabble. Now is the time for liberals to get stuff done. I think this trip that wasn't planned until recently is because Trump and the RNC are facing huge legal bills. 1. After two careers, I returned to finish my University degree focusing on a possible diplomatic, intelligence or law enforcement career. I focused on 🇨🇳PRC politics during a time when scholarship involved estimating how many tens of millions of Chinese might starve next year. 2. Folks like @AOC and @SenSanders who conflate Socialism with Keynesian economics need to stop or move to another party. 3. extreme radicalization that Mao was predisposed to advance. Our government had a hand in creating the monster that devoured the Chinese people for decades. 1. How FISA works: Our spooks intercept something about you likely from intercepts of Russian folks. #DOJ is alerted. If they intend to pursue a criminal investigation they tell the @FBIWFO to seek a #FISA warrant. 2. @NRA @GOP #KochBrothers @Trump-sters who've been playing footsie with Ruskies, ya'll are all screwed. A FISA warrant will devour your life and anyone complicit of anything near you. You can't win. You're fighting Terminators. They won't stop until you and yours are charged. 1. 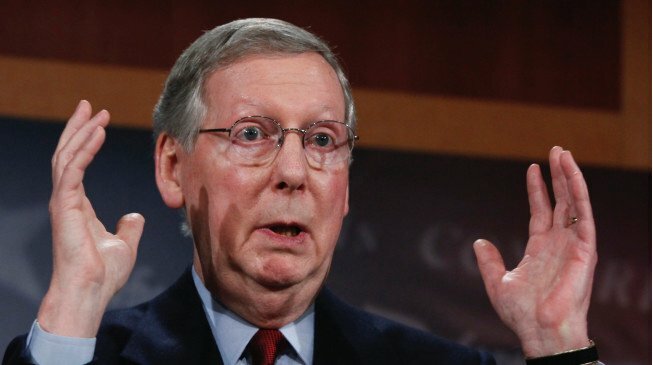 @senatemajldr McConnell is running in 2020 and it's possible he fears @realDonaldTrump getting angry and then getting even via a primary candidate challenge but the reality of this strategy is so counter @POTUS' interests that it shocks me. He's self impeaching. Amazing. 3. better for Mitch to just let Trump implode his presidency via self immolation. The polls are starting to plummet. Giuliani's recent bizarre performance says to me he knows they're about to round up the campaign conspiracy. Probably Trump's family. And it may be a state case. 1. 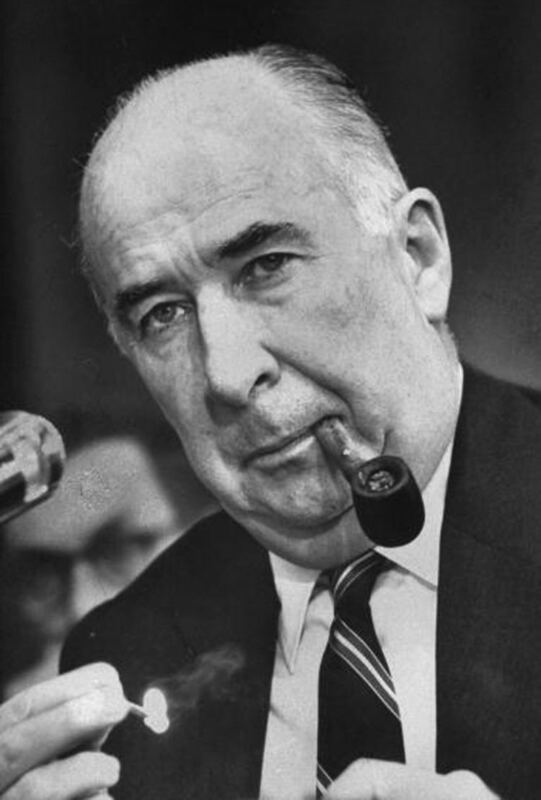 1993-4 my late brother investigated Bill Barr, Reagan, Bush & Baker among others. It was a strange case involving the CIA. Most of the investigation was top secret "code-worded now called SCI. The case was the pet peeve of the @nytimes' William Safire who rage op-ed-ed it. 3. an unclassified version of his report. He never did. He never discussed it after it was submitted and I presume it was never declassified. John died last year. Here is Merrick Garland on John as counselor to the Attorney General. 1. Here's the guy who can give @TheDemocrats 60 Senate seats in 2021 so Dems can pack #SCOTUS with 4 more justices. He's burning his own caucus for #TraitorTrump. And we'll never let voters forget. 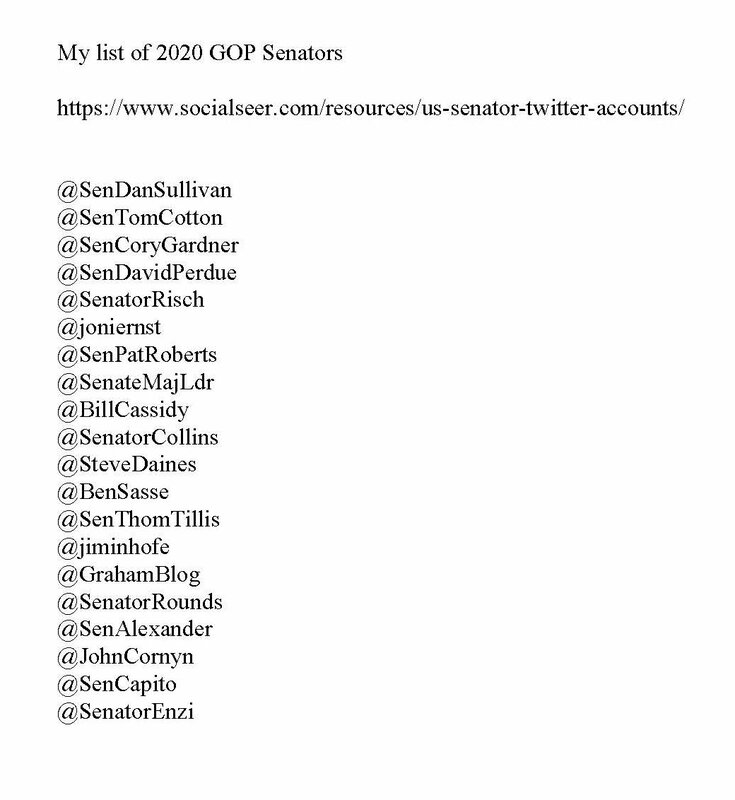 List of 2020 GOP class on @senatemajldr McConnell's #ShutdownDeathMarch. 2. Easy ones are @SenJoniErnst @SenCoryGardner @SenatorCollins @SenMcSallyAZ. Democrats in their states got more MidTerm votes so they're likely to loose their seats. But 2020 also has real challenges for GA, KS, NC, TX and even KY. But there's something else possibly looming. 3. IMO most 2016 @SenateGOP class took Russian money. Have you noticed one 2016 member @lisamurkowski isn't putting up with #TovarishTrump? Pretty sure she was not in GOP 2016 funding ecosystem. Other ones have issues and these in yellow were on the Moscow July 4 treason train. 1. 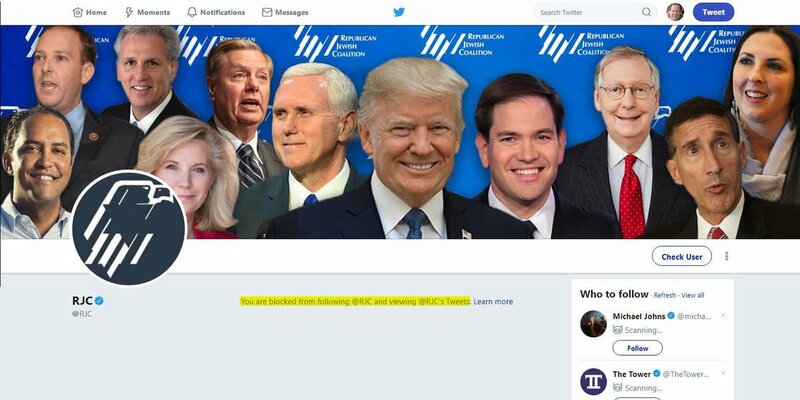 Are @SteveScalise & his #KochBrothers masters are starting to get nervous about @AOC? In 1950 the top rate >$200k was 91%. Home with two car garage #americandream was alive & well. That's not a dream of only the left. Once a dream of all Americans before the @GOP betrayal. 2. How much money have you gotten from the #KochBrothers to betray your district Steve? If we can split LA1st white vote & 22% people of color come out to vote your on the street Steve. @LaDemos let's get someone teed up to challenge Steve. Don't wait for 2020. Do it now. 3. We can start a small social media task force to begin flooding employers in LA1st to show them how Scalise and the GOP is bad for business. Oh and I'm sure he took Russian money in 2016 so Steve is likely to end up in prison. But the key is he's working for Russia. Like Trump. 1. IMO Comey, who elected Trump, is #KochBrothers operative. He wants to avoid having an impeachment vote because the 20 GOP Senators in 2020 will be put at risk. Seven by my count now stand very good chance to lose. Having to vote for a traitor could open remaining to a rout. 2. If you add that several Senators in 2016 GOP cycle are likely to be indicted it is conceivable that Dems reach the majic 67 seat majoriy in the Senate that would allow removal of GOP judges at will. Comey is trying to stop that from happening. Kochs worst nightmare. 3. On 2016 cycle. Add Ron Johnson to yellow July 4 Moscow list. They are my top suspects. I spotted the Russian money in June 2016. Told the feds via several Tweets. I suspected FINCEN would get them. It did. 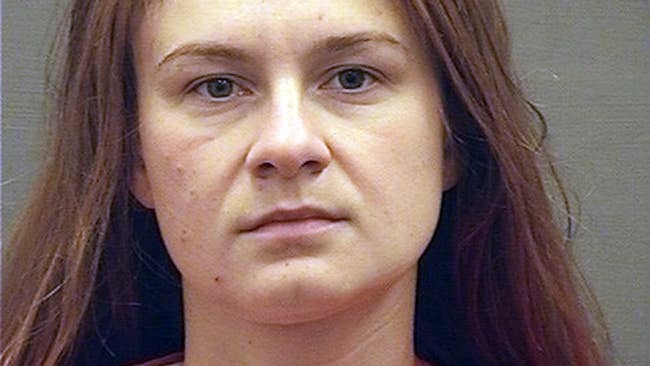 Maria Butina ready to flip? Hearing may be as early as tomorrow. 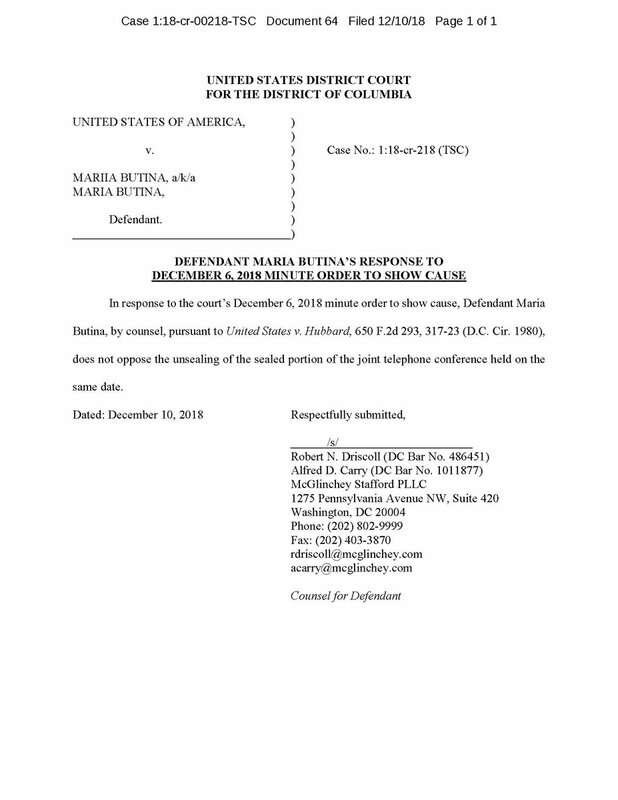 Butina has also has filed response to order to show cause saying it's okay to unseal the telephonic conference that led to the appointment of her advisory counsel. @Cruellaisdevine @WomenMarchPDX @RedAnneBolynn @threadreaderapp @DeepInTheHills @gregolear @ExposingALEC @Ruetheday852 @model_daughters @philnurenberg @djhurls803 @PuddnHaid @mlbosin @AliAdair22 @1SnoozyQ @CaptainResists The Family Research Council and the Council for National Policy (Pence joined) are labeled hate groups by the Southern Policy Law Center. 📚🎞️Reading materials and films about the #KochBrothers, now just Charles Koch since his brother "retired."